Why would I need self storage in Sharonville, OH? There are a variety of reasons why you might need self-storage in Sharonville, OH. How much is a storage unit in Sharonville, OH? The cheapest storage unit in Sharonville, OH is $31.00 per month. 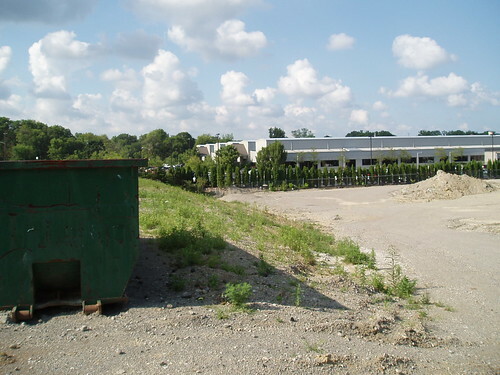 What size storage units do you have available in Sharonville, OH? In Sharonville, OH we have sizes that range from 5'x5' to 10'x30' to suit your storage needs. How much is it for a 5'x5' storage unit in Sharonville, OH? The cheapest 5'x5' storage unit in Sharonville, OH is $31.00 per month. Sharonville is a small, fairly rural town in southwestern Ohio, about 11.5 miles from Cincinnati, which might be ideal if you're looking to live in a smaller city that's close to a large metro area. Sharonville offers a number of family-friendly amenities and activities, including children's events and youth summer day camps. Sharonville was originally named Sharon and welcomed its first settlers in 1788. It was the first stop for stagecoaches between Cincinnati and Lebanon in the early years of the country. The first railroad came through the city in 1872, which brought significant prosperity to the town's residents and businesses. In 1876, the town was renamed as Sharonville. It was incorporated first as a village in 1911 and later as a city in 1962. Whether you're single or, a retiree or have a growing family, Sharonville has plenty to offer. Since it's close to a larger city, you'll find great entertainment, dining and recreation, as well as a variety of job possibilities. You're never far from a grocery store, coffee shop or restaurant, and Sharonville is known for its quiet, small-town setting that provides locals with plenty of space. The Northern Lights district is one of the major hubs of entertainment and business, site of several office buildings, major hotels, a convention center and the Queen City Racquet Club. The Heritage Village Museum is another popular local destination. It's an open-air historic house museum that offers a peek at the lifestyles of early Sharonville residents. The Sharonville Community Center is a large recreational facility that provides members with access to an indoor track, fitness center, arts and crafts room, game room and children's nursery. Schools in Sharonville are part of the Princeton City Schools District, which encompasses a number of other communities, including Springdale and Lincoln Heights. The district is one of only 22 in the state to offer the International Baccalaureate Diploma Programme. Utilities: Sharonville's primary utility companies are Duke Energy and the Greater Cincinnati Water Works. Garbage and Recycling: Trash is collected weekly, and recyclables are picked up every other week. Transportation: The Metro transit network offers convenient public transportation in Sharonville and Greater Cincinnati. Like many Ohio cities, Sharonville has an extremely affordable housing market. Prices fall well below the national average, and you can easily find a wide range of budget-friendly homes. There are many large homes on spacious lots as well as a few new-construction options in Sharonville. Our lowest priced units in Sharonville, OH average $33.50 per month. 114 people have reserved units in Sharonville, OH in the past 30 days. There are 2 locations within Sharonville, OH's city limits.